Gasoline prices are still low by historical norms, but have been slow to drop on seasonal factors. Prices are usually lower in the fall and winter because there is less demand and it's cheaper to make winter-grade gas. 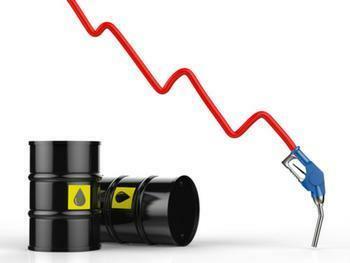 The reason prices have been slow to fall has been the crude oil market. Speculators have driven up the price because they believe OPEC is about to freeze production. Less oil on the market and the price goes up, the reasoning goes. But is there a good reason to think OPEC is actually going to take the necessary steps to reduce supplies? A number of industry analysts have expressed strong doubt. A new report from S&P Global Platts shows just the opposite of what speculators are banking on. The report shows OPEC production in October rose at another record, 33.54 million barrels a day. More oil, the report found, is coming on the market from Libya and Nigeria, where production has been limited by war. Then there is Iran and Iraq, two Middle Eastern neighbors who are determined to pump more oil to compensate for years when either conflict or sanctions keep their oil off the world market. "OPEC's freeze math has gotten more complicated, as its countries keep pumping more," said Herman Wang, senior writer for S&P Global Platts. "With OPEC having self-imposed a November 30 deadline to finalize the freeze, the pressure will be on to deliver a deal that the market views as credible. Progress towards that goal has been slow, and a fifth straight month of record high production won't help." The math is further complicated by the fact that Libya and Nigeria would be exempt from any freeze. Increases in Iraqi output and the expected return of Angolan production will make it even harder. The most recent report from the U.S. Energy Information Administration saw a huge increase in oil stockpiles, meaning the current oil glut is getting bigger. The S&P Global Platts report suggests the glut will continue to grow, regardless of what OPEC works out at the end of the month. The AAA Fuel Gauge Survey shows retail gasoline prices remain fairly stable, but that's partly due to a sharp price increase in the last week in Georgia and North Carolina. Both states were affected by last week's explosion at a Colonial Pipeline facility. But the good news for motorists is the interruption in fuel transport didn't last long and prices in those states should soon sink lower. Gasoline resumed its flow through the pipeline Sunday morning. Barring other distribution or refinery mishaps, lower oil prices should keep prices low at the gas pumps through the holidays and beyond.